The following article was originally from SiemensSays.com. I think it is a very insightful analysis into the recent announcements in the pork industry. Loan guarantees will help some producers. But, what is the criteria for a viable hog operation? The Canadian industry is currently losing $30 million a week. The situation is deteriorating daily. The Hog Farm Transition Program of $75 million will help if it effectively pays people to get out of the business. This would cut production. No details yet, but it appears it’s like the U.S. dairy buyout where producers will bid to leave the industry for three years. If it only pays existing producers, not ones that already quit, it can significantly cut production. For example: ‘At $500 per sow bid the $75 million would cut 150,000 sows out of production.’ If it pays people already out of business, the plan will do little to cut supply. The Government says detailed information will become available over the next few weeks. The industry is in crisis; they have been working on this for months – it’s too bad the Government is not ready. Not sure what the point is to gradually reduce supply as the Government proposes; gradually will lead to further attrition in the potential survivors. We need them out fast! Get it over and move on. Not a stellar day for the Canadian Pork Council. The cattle industry got billions for Mad Cow. The Canadian Pork Council came up short on their $800 million want list for compensation for H1N1 effects and the economic crisis. At the press conference, Minister of Agriculture Ritz assured he had talked to the U.S. Secretary of Agriculture Vilsack. All was good with the plan. Loan guarantees are allowed. Not to think that only Canada supports producers, Agriculture Secretary Vilsack, announced last week that USDA rural development and the Farm Service Agency – FSA, were to help use all available means to help producers hit by worsening economic conditions. $1.7 billion from the American Reinvestment Program and Recovery Act has been made available. FSA has been instructed to increase efforts to provide loan assistance to livestock producers. The agency sent a letter to direct borrowers outlining the options and tools available to help ease financial stress. The letter encourages borrowers to contact their local county offices. Options available include rescheduling, reammortization, deferral, and in extreme cases reducing debt. Bottom line – Canada and USA are liquidating. Both countries governments are stepping in to help out. We doubt that it’s enough to stem the tide of liquidation. We do not expect Canadian liquidation alone will cut supply to profitable levels without the US doing likewise. Both countries need and are getting liquidation. Producers are shell shocked. The question, “When will this end? !” is asked repeatedly. Sow liquidation has picked up. Reports are the sow plants are taking all they want; before, they had capacity. Sow prices have dropped in the range of almost $100 per head. That’s a reflection of supply. We saw lots of corn and soybeans on our tour. Indiana, Illinois, Michigan, Iowa, Missouri, and Nebraska crops look great (except where it hailed). Every ditch for 2400 miles was green as could be. This is the middle of August! Rain and now warm weather. We are no crop experts, but everywhere we went the crop was described as excellent by the locals. U.S.D.A. last week predicted 12.7 billion bushels of corn. We might have lots of other problems right now in our industry, but feed availability is not one of them. Lean Hog Futures have hit multi-year lows. There are no hedge opportunities for profit. We expect the non Ag funds will begin to look at the historical lows and this coupled with sow liquidation will start driving up spring 2010 futures. We believe the U.S. is liquidating (combination of gilt retention and sow slaughter) 10-15,000 sows per week. We received several emails last week encouraging us not to talk about liquidation. Like people out of money and out of faith will stay in the business because we give some optimism. When you are out of capital (cash) and courage, it’s over. No words or optimism will keep you in business. Cash is king. Some Government Aid, but in an industry losing $100-$130 million a week, it will do little to stem the tide. In the last two weeks the collapse of cash and futures has broken the spirit and future of many. We are liquidating. We expect deferred lean hog futures will gather steam soon. There is no way next spring and summer hog supply will not be seriously cut. One packer told us last week that we need to start talking 90¢ hogs again. H1N1 destroyed this summer’s market, but it will be over by then. Does anyone in their right mind believe small pigs will be $4.00 each a few months from now? We expect $60.00 in January. The retail price of pork is higher than a year ago as supply demand adjusts. Our prices will recover. 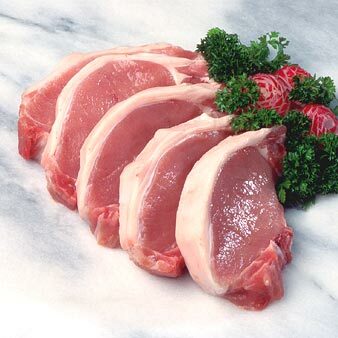 The retail price of pork, higher than last year, tells us we are producing a product people want. We are not making wagon wheels. There is, believe it or not, a future for many. I would say that it speaks to human kinds apparent lack intelligence. For those of us that are reasonable, it is fairly well understood that urban farms are not going to improve food security and safety in a country, city, town, or village anytime in the future. For the sake of interest I called the City of Lethbridge Regulatory office and asked if I would be able to start a chicken farm in my back yard. The lady laughed and said no!! I told her who I was and asked her if this was a common request. She replied that they do get some requests every year from Lethbridge residents to have chickens, goats, sheep and ponies in their backyards. Do some of the urban residents of North America not trust the food system or are they thinking this will save them a dollar. Why not support the experts and buy from farmers and the grocery store. What is next, we don’t trust doctors and so we allow people to give each others surgeries. Farming is a serious occupation that some discredit by thinking they can just do it themselves in a safer fashion. Lets not discredit the hard working people of rural areas by calling some lady that has 10 chickens in her back yard a farmer. This is no different than someone who has a 10 foot by 10 foot corn crop in their back yard is not a farmer….they are a gardener. Lets let some common sense prevail and quit this nonsense of cities like Guelph, Brampton and some US cities. Talking to hog producers in Manitoba, there is a real head scratching issue taking place. Hog producers are strongly criticizing the provincial government for not stepping up to compensate hog farmers for this terrible economic environment. The province think that it is a Federal government issue but others disagree. 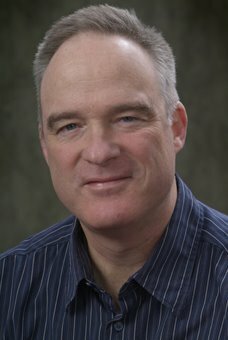 My friend journalism friend Harry Siemens has a great audio monologue about how H1N1 has really affected producers in the short term but also has long term consumer affects. In Harry’s opinion the provincial government must step up and create a strong stability program to help hog farmers leave the business while enticing others to commit long term. Please check out Harry’s commentary. Pigs are a host for the H1N1 virus, and yet while no pigs died directly because of the virus, it was called “swine flu” and the news story became focused on food safety. It sprung a lot of attention onto concentrated animal feeding operations (CAFO) as if the food supply is not safe anymore because of H1N1. Like what happened with BSE, people quickly moved to the worst-case scenario and not the story closer to reality. In reality, these are animal health issues and not food safety issues based on the good detection work of CFIA. BSE and H1N1 are not CAFO issues either. If you fed contaminated feed to your free-range cows, they would be just as susceptible to BSE as the cow in the feedlot. As agriculturalists, we need to grab a hold of these media spins quicker and be more proactive in terms of public relations. The unnecessary pain and damage to our industry is too great. It really does beg the question why did we ever call it swine flu. The damage that has been done to the food safety perception of pork will take a long time to build back. The unfortunate part is that in reality it was much to about nothing in terms of food safety. Put some pork on your fork this long weekend because Dr. Cate Dewey and I said so. In Central Alberta, a 2200 head swine herd is under quarantine after the CFIA confirmed the H1N1 virus presence. According to a press release by the Government of Alberta, the pigs were exposed to the virus by a farm worker who recently returned from Mexico with flu symptoms. I’m just glad to see not only the Canadian government, but the veterinarian’s involved informing the public that there is no food safety risk. Whether or not the public believes it is another story. Just as we saw in the BSE debacle a few years ago, consumers are prone to the media message, no matter its accuracy. The implication of pork being affected is purely due to the “Swine Flu” naming of the H1N1 virus, as it carries the same negative connotation as “Mad Cow Disease”. I cannot make the same compliments to the World Health Organization (WHO), who came out this week and said there is a health concern which is contrary to scientific opinion from several sources. Look at how Egypt is handling the situation. While culling all of the 250 000 pigs in the country will not prevent the transmission of the virus, as there is no evidence of pigs passing the virus to humans. And there hasn’t even been a reported case of H1N1 in Egypt, whether human or porcine. The pork industry has enough adversity to face as it is, and does not need false, negative media attention. I just hope that the consumers base their decisions on facts, not fear. We just got over BSE, lets not let that happen to the pork industry.